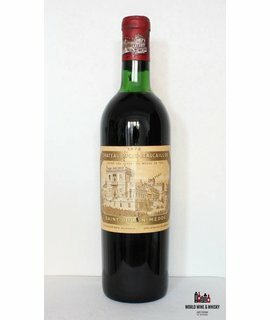 The estate Château Ducru-Beaucaillou was purchased by Francois Borie in 1941 and has remained in the family since then. The family also owns other estates, Château Grand-Puy-Lacoste and Château Haut-Batailley. In the mid-1980s the estate battled an infestation of TCA in their cellars that marred several vintages including the 1988, 1989, and 1990. The Chateau has since corrected the problem, and today the wines are fermented and aged in a new underground cellar created in the late 1990s. Today the estate is managed by Bruno Borie.